A few weeks after Repton’s death in 1818 an obituary appeared in the New Monthly Magazine which I thought, when I first read it, summed him up rather neatly: “Mr. Repton was an artist of elegant attainments and good taste, more calculated to follow than to lead, and more attached to the beautiful and pretty than to the grand style of art.” It was probably written by his successor as the “great man” of English gardening, John Claudius Loudon, but on reflection I think it is a little dismissive of Repton’s achievements. 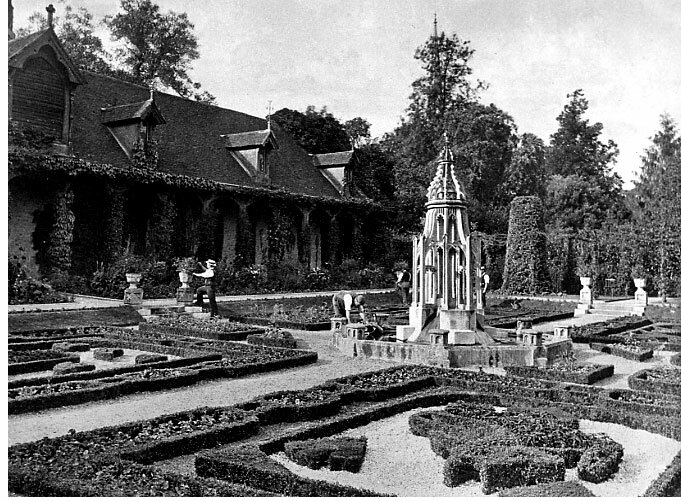 Repton was the first garden designer [as far as I am aware] to deliberately create new gardens in what he called the ‘ancient style’. He combined these with more contemporary gardens in a new ‘Mixed Style’. In many accounts of garden history this approach is attributed to John Claudius Loudon but as Tom Turner points out, Repton actually got there first. In his last book, published in 1816, and which rejoices in the lengthy title of Fragments on the theory and practice of landscape gardening: including some remarks on Grecian and Gothic architecture, collected from various manuscripts, in the possession of the different noblemen and gentlemen, for whose use they were originally written; the whole tending to establish fixed principles in the respective arts, Repton writes about his designs for Ashridge in Hertfordshire. 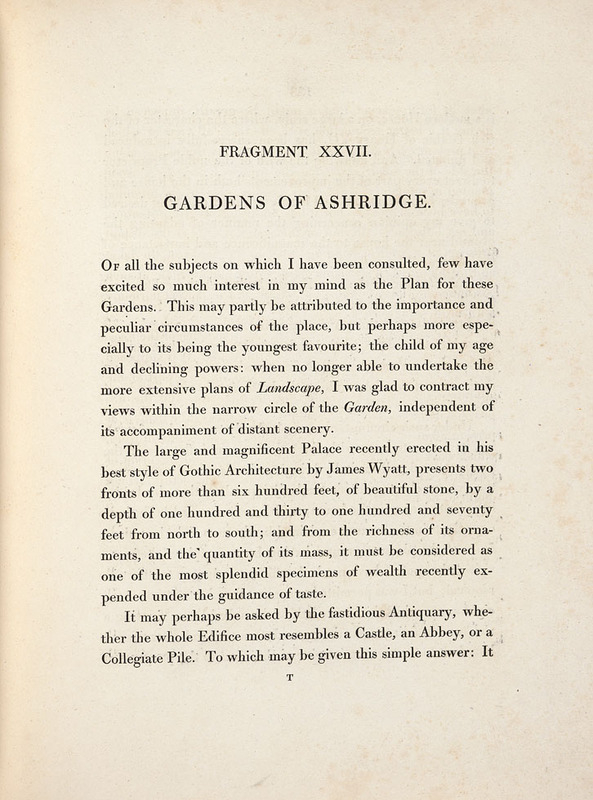 Repton clearly regarded Ashridge as one of his greatest projects, although, to be honest, he wrote flatteringly in almost every Red Book of his appreciation for the property he was designing. You can however see his disappointment with the banality of the setting of the grand new mansion, and that much had already been decided about the landscape before he was asked to be involved. He could not even perform his usual trick of removing the park fence to improve the view since it had only just been put up at the express wish of the owner. 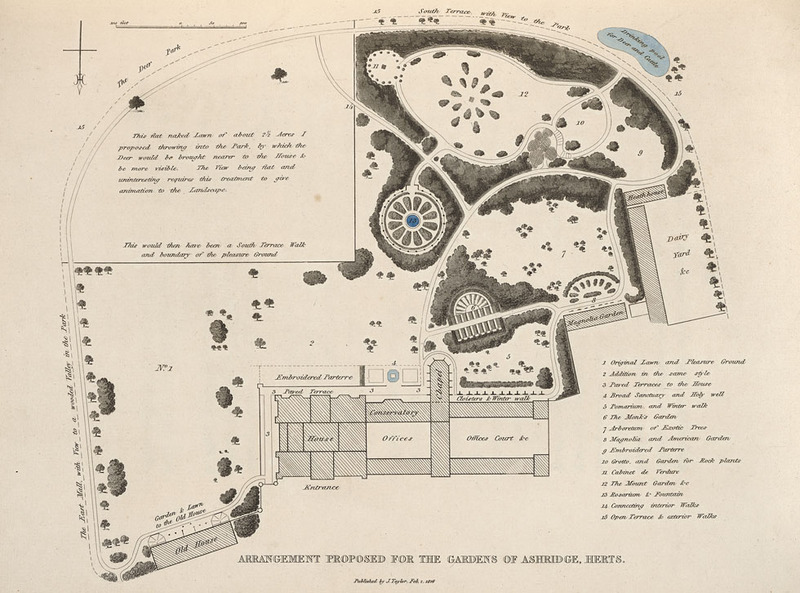 he suggested no less than 15 gardens of differing types. Five of them ‘belong to the modern type of pleasure-ground, but all the others are different: some sounding distinctly ‘historic’ in title at least. 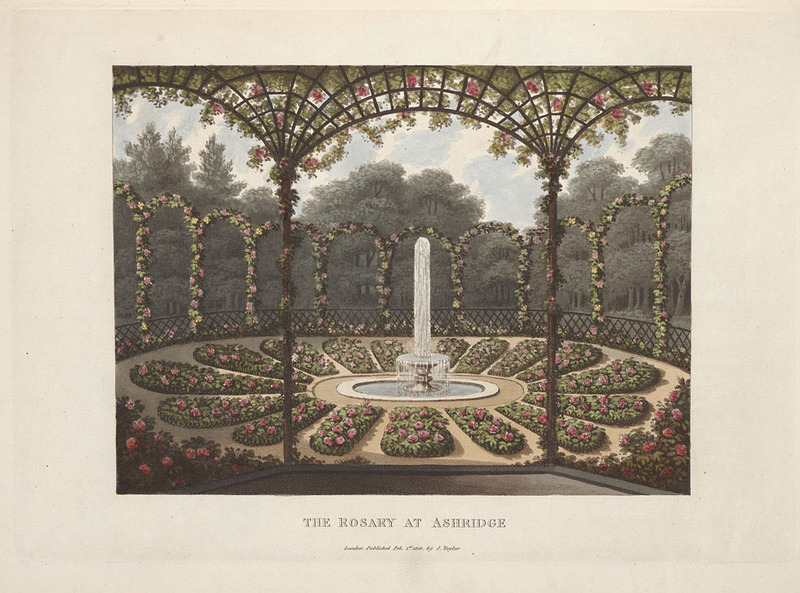 ‘ As can be seen from his plan there were to be a sheltered arboretum of exotic trees, an American garden, a ‘cabinet de verdure’, an embroidered parterre, a mount garden and a garden for rock plants. Repton was criticized for this “novelty” but argued “there is no more absurdity in collecting gardens of different styles, dates, characters, and dimensions, in the same enclosure, and placing the works of Raphael and Teniers in the same cabinet, or books sacred and profane in the same library.” He was extremely proud of what he done calling it the ‘child of my age and declining powers’, although sadly he died before all his designs were implemented. Many of his remaining ideas were adapted and completed later by Jeffrey Wyatville. 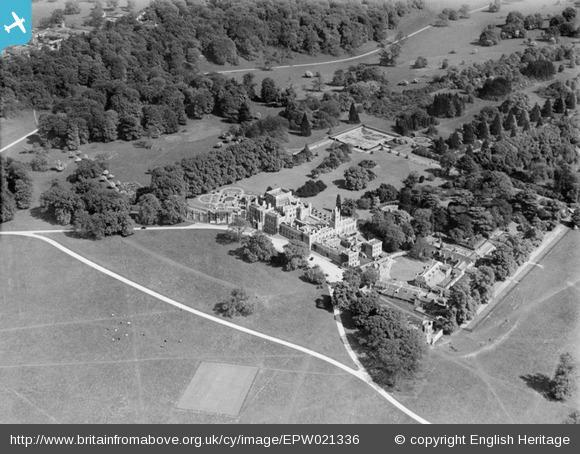 Repton was clearly inspired by the monastic origins of Ashridge. 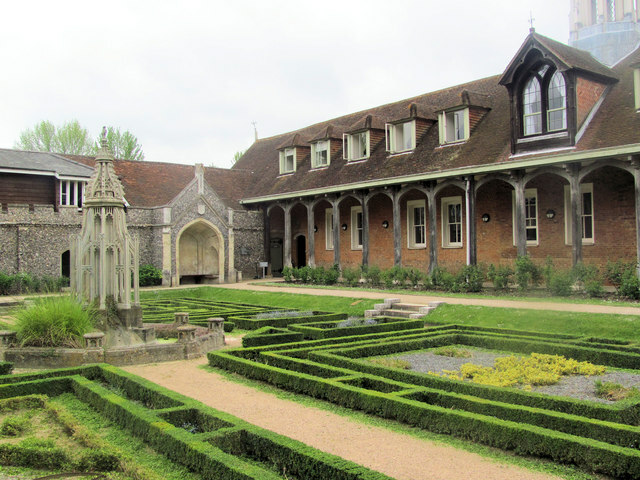 James Wyatt’s new house for the 7th Earl of Bridgewater was built over the monastic cellars whilst the late 14thc Monk’s Barn was remodelled and converted into a cloister. Facing this across a ‘winterwalk’ and ‘pomarium’ Repton suggested a Monks’ Garden with its clipped box hedges, ‘decorated with flowers in vases’ which “ventured boldly to go back to those ancient trim gardens, which formerly delighted if the venerable inhabitants of this curious spot”. Nearby he proposed a canopied ‘Holie Well’ enclosed in ‘rich masonry’ outside the new conservatory. 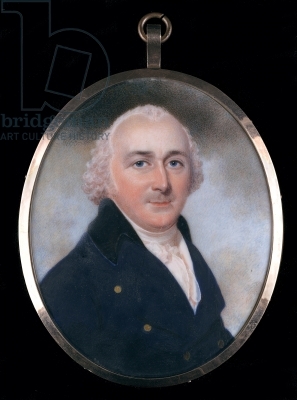 These plans were amalgamated and amended after Repton’s death but still bear the hallmarks of his ideas. © Rob Farrow and licensed for reuse under Creative Commons Licence. Another ‘retrospective’ feature was a new grotto. Built of local Hertfordshire puddingstone, it stood on the site of an old pool, and Repton designed a souterrain or subterranean approach tunnel constructed on an iron framework and with walls lined with flint. The path to the souterrain and grotto © Chris Reynolds and licensed for reuse under Creative Commons Licence. 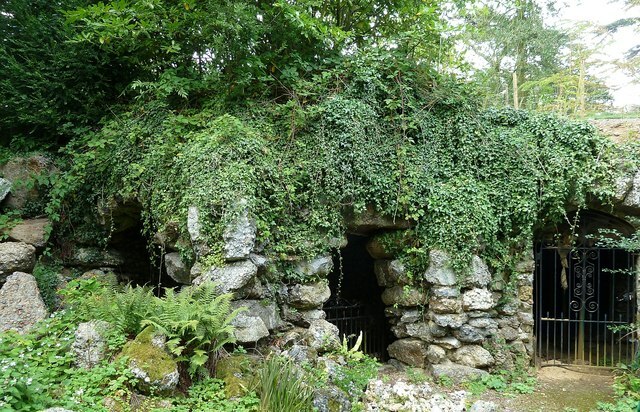 The grotto and tunnel with its crumbling iron structure are now sadly in poor repair and have been closed off. The owners the Ashridge [Bonar Law Memorial] Trust are hoping to raise the funds for restoration, so if you have a spare £150,000 [or more!] let them know! The other famous Repton feature is his Rosary, sometimes called the Rosarium. This was to have been a formal arcaded structure around a circular basin with its fountain supplied by the ‘Holie Well’. 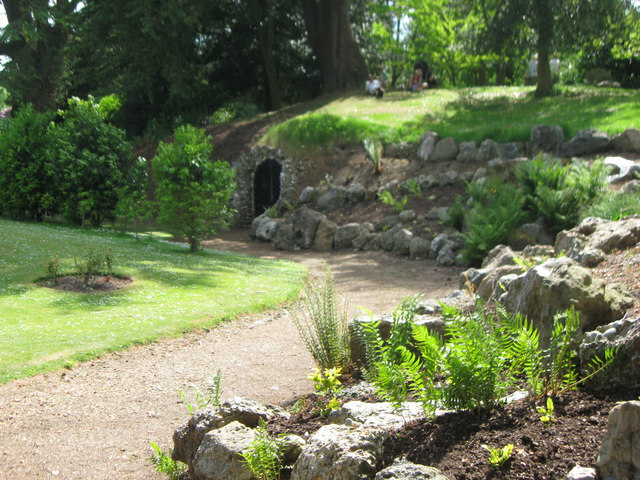 The inner rose beds may well, like parts of the Monk’s Garden, be coffin shaped as part of Repton’s tribute to the site’s ecclesiastical history. It appears to have been built to an amended design: Wyatville planted a yew hedge instead of trellis and the linking sections are straight rather than arched. The eight radiating beds and fountain were restored in 1998, and the roses were replanted in 2009. Further restoration is planned by the Balfour Trust. 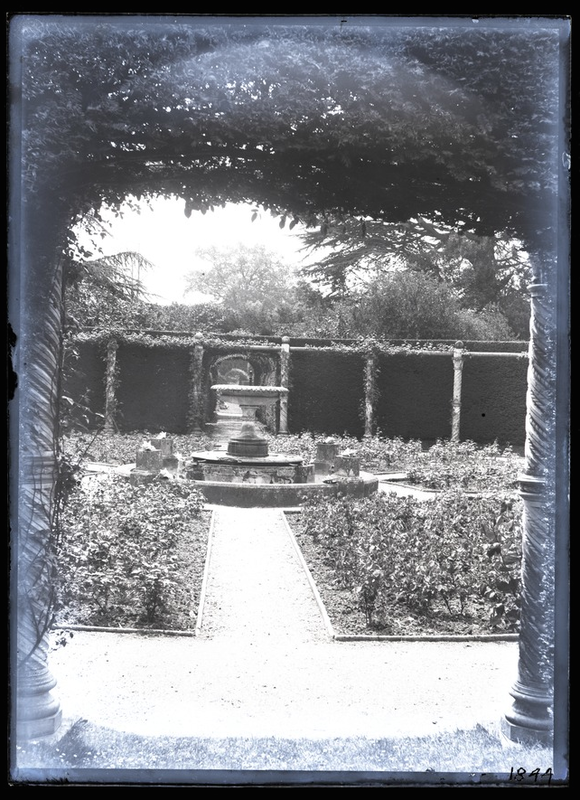 The Rose Garden can be seen here in June 1891 in one of a fascinating series of photos of Ashridge taken by Godfrey Bingley, a Yorkshire industrialist and keen traveller and photographer whose vast collection of glass slides is in the process of being digitized by Leeds University Library. 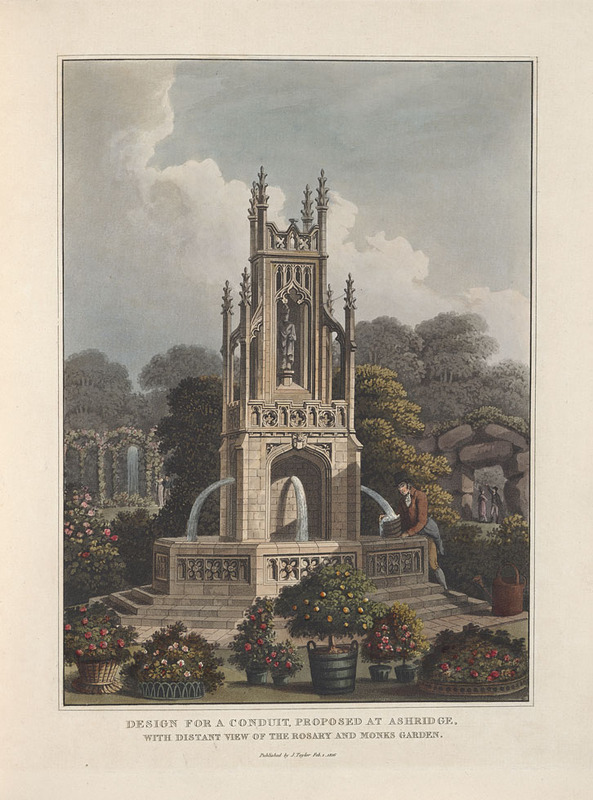 This entry was posted in Uncategorized and tagged Ashridge, Godfrey Bingley, Humphry Repton, James Wyatville, Loudon. Bookmark the permalink.